Bach To BoogieLillette, the new piano-playing sensation of Detroit, is being the ivories' great of '48. One critic said she can sing and play from Bach to boogie and back to Bach again. She is slated for a European tour soon after clicking at the Bowery and the Club Bali. 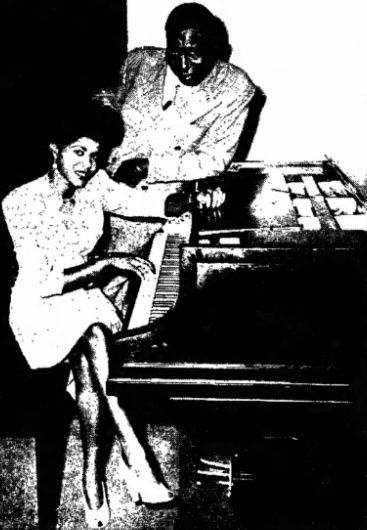 Queen Of The KeysLillette Thomas, "Queen of the Keys," and Bud Harris, international comedian, currently featured at the Carlton Cocktail Lounge, will be on hand offering top-flight entertainment next Thursday night as part of the "Stage Door Canteen" show.